"May his memories live on bringing comfort to grieving..."
"Sending my deepest condolences to Patrick's family and..."
"My heartfelt condolences to Mrs. Callery, Patrick's..."
"Patrick was a dear neighbor and friend. His presence will..."
"My deepest condolences to Patrick's family. 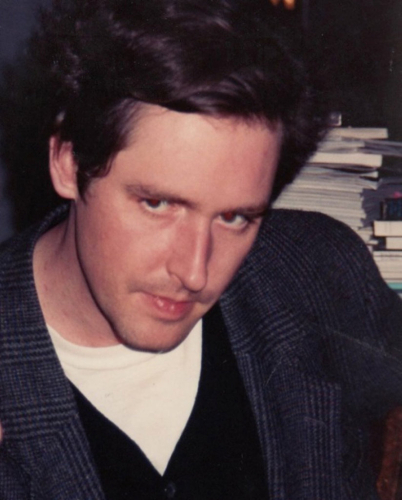 I feel lucky to..."
Patrick Vincent Aloysius Callery passed away at his Soho loft from natural causes at age 57. He was born in Pottsville to Dr. Vincent A. Callery and Elizabeth Kirwan Callery. He attended Pottsville Area schools and graduated from Perkiomen School. Patrick attended the PA Governor's School for the Arts, eventually becoming a teacher and adviser. He graduated from Rochester Institute of Technology with a focus on photography. Patrick lived in New York City for more than 30 years working for the Leo Castelli Gallery and Fischer Landau Center for the Arts. At one time he owned his own gallery. Recently, Patrick returned to his original passion - photography - discovering a new love, Hawaii, through his camera lens. Patrick will always be remembered for his gentlemanly ways, kindness and keen eye for good art. Patrick is survived by his adoring mother; his sisters, Meg Callery (Paul Sullivan), Brooklyn, N.Y., Jennifer Verzella (Louis), Havertown, Pa., and Elizabeth Orton (Christopher), Cranston, R.I.; as well as treasured nieces and nephews, Elizabeth, Sara and Luke Verzella, Emma, Jackson and Calvin Orton. He leaves many friends; we are forever grateful for his beloved Christine Zehner. Service details to be determined. In lieu of flowers, donations can be made in Patrick's name to the National MS Society, nationalmssociety.org.